The wedding of the year is finally here! But will Amber and Richard make it past royal formalities and down the aisle? 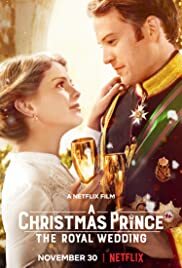 Find out when Rose McIver and Ben Lamb star in A Christmas Prince: The Royal Wedding.